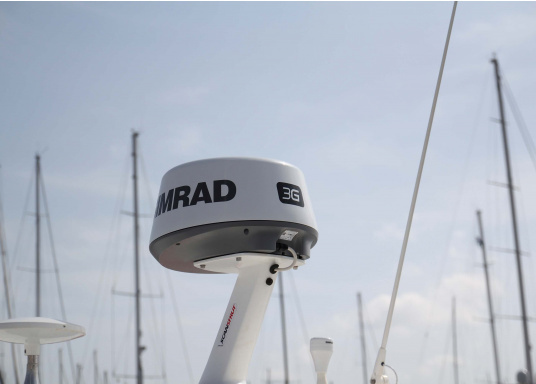 The SIMRAD Broadband Radar 3G™ antenna provides superior targets detection and separation. €1,599.95 Incl. tax, excl. shipping. This revolutionary FMCW radar boasts outstanding performance, with crystal clear imagery, for novice and expert users alike. Was ist im Lieferumfang ? 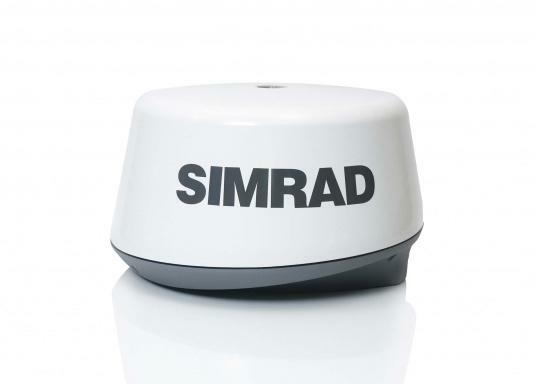 Bonjour, Quel support faut-il pour installer le SIMRAD Radar Broadband 3G sur une toiture plate de cabine? Veuillez aussi m'indiquer la référence de ce support. Avec mes remerciements, Cordialement. La consegna comprende 20 metri di cavo radar, interfaccia R10 e 1,8 metri di cavo Ethernet. Guten Tag Entspricht das Simrad 3G-Radar der EU-Richtlinie "2014/90/EU"? Guten Tag, das 3G-Radar hat keine Steuerrad-Zulassung und fällt somit nicht unter die 2014/90EU Richtline. Die Performance-Standards für CAT1-3 Radargeräte welche eine Steuerrad-Zulassung haben, sind von aktuellen Radomen nicht zu erfüllen. 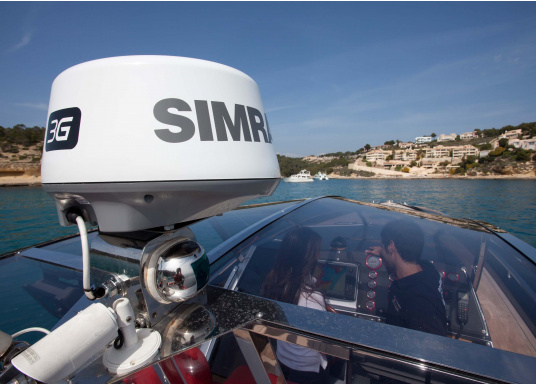 What is the difference between Simrad 3G and B&G 3G radars? I have MFC B&G Zeus2 and looking for a radar for it. B&G version costs €100 more. From tech.-specs view identically. Design and stickers different. malgré le manque d'informations fournies par le fabricant concernant l'utilisation avec un pc, cela finit par très bien fonctionner. erste Tests mit dem Gerät verliefen äusserst zufriendenstellend. Echte Praxistests konnte ich noch nicht machen. De dome is eenvoudig te monteren en vereist weinig vermogen. Het beeld dat de dome geeft op de plotter is zeer duidelijk en gedetailleerd.